Ford’s newest SUV crossover, which is carving out a niche between the large and in charge Ford Explorer and the Ford Escape, now offers more power, a sportier look and more standard features that make it one of the highest performing Ford models ever. quick-shifting 8-speed automatic transmission, standard all-wheel drive with selectable traction control, an available performance brake package, and ST-tuned sport suspension. Along with added power and a sportier get-up-and-go attitude, one of the most stylish Ford SUV crossovers also features a sportier new front and rear fascia, grille, hood and liftgate as well as bi-LED front lighting and newly styled wheels. 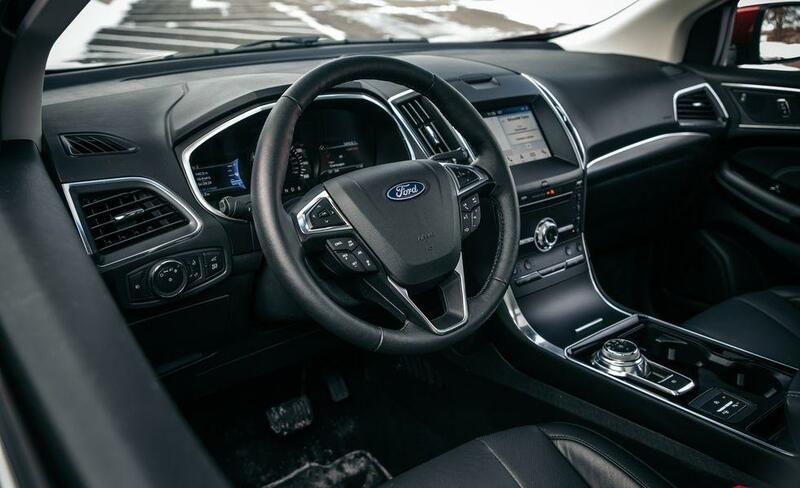 Inside the all-new Ford Edge, you will also find two new storage bins, a 10-way power driver’s seat, a Rotary Gear Shift Dial and up to 70 cubic feet of cargo space. Like most new Ford models the Edge also includes Ford's latest Sync 3 infotainment system as well as a wireless cell phone charging station. Available at all of your Ford dealers in Southern California each all-new Ford Edge also offers confidence-inspired technologies that will keep you traveling any road with complete peace of mind. Along with sensors and cameras mounted at specific locations on the vehicle; to make you keenly aware of other vehicles and objects that are beside and behind you; this and other safety features like Pre-Collision Assist with Automatic Emergency Braking, Adaptive Cruise Control with Stop & Go and Lane Centering, Evasive Steering Assist and voice-activated navigation with SiriusXM Traffic and Travel Link also make the 2019 Ford Edge the smartest of Ford SUVs ever. 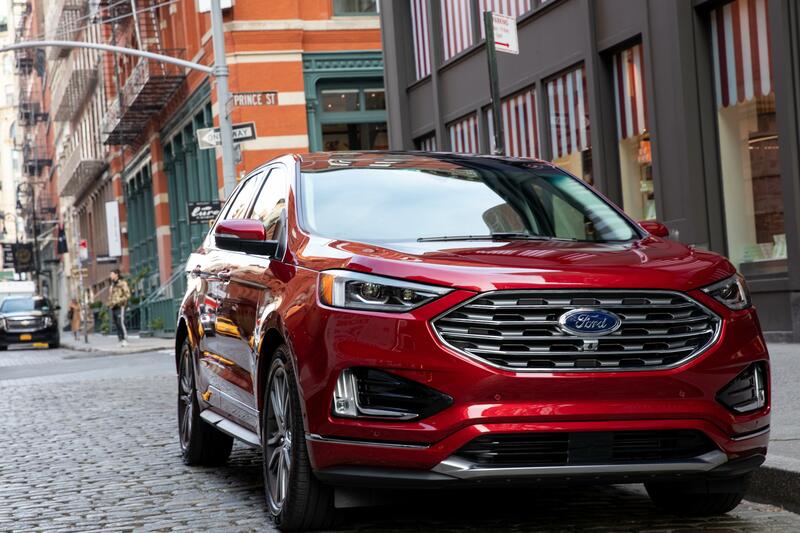 Like most Ford models, the 2019 Ford Edge allows you to keep track of it even if you are not with your new sporty SUV through the FordPass smartphone app. Along with receiving key vehicle information in order to schedule important service, this app also helps you find the lowest price fuel along your route and even request roadside assistance. If you are in the market for the edgiest of Ford’s SUVs on the market today get to your Southern California Ford Dealers today to take a test drive in the vehicle of the future.